A few weeks ago we took the entire family to Hersheypark for a fun-filled day of amusement park rides, games, splashes in the waterpark and of course...smiles! If you have never been to Hersheypark, it is one of the main attractions when you visit Hershey Pennsylvania. If you are a fan of amusement parks I am sure you have probably heard of the Sooper-Dooper-Looper, SkyRush and the Comet roller coasters which are world famous! Let's not forget about the famous Kissing Tower where couples can enjoy a sweet kiss at the top of this fun ride while getting one of the best views of Hershey and the surrounding area. We have been visiting Hersheypark every year since the early 1980's and every year the park gets bigger & better than the previous year! I can remember being a teenager and one of my favorite rides was the Trailblazer and to this day...it is still a favorite! Such great memories over the years! This year we took our little 5 year old grand daughter and were pleasantly surprised that she wasn't afraid to get on anything! Matter of fact, she begged to get onto the rides that half of the adults would be scared of! On the SooperDooperLooper she was the only kid laughing and had her arms waving in the air. She loved it and rode it twice with her Pappy. When visiting the park you want to dress comfortably and that includes your shoes! You and the kids will be doing a lot of walking so wear sneakers and not flip flops or sandals. In addition, make sure to pack a change of clothing & towels if you plan on spending any time on the water rides. You will get WET on most of them! One last thing...don't forget the sunblock too! 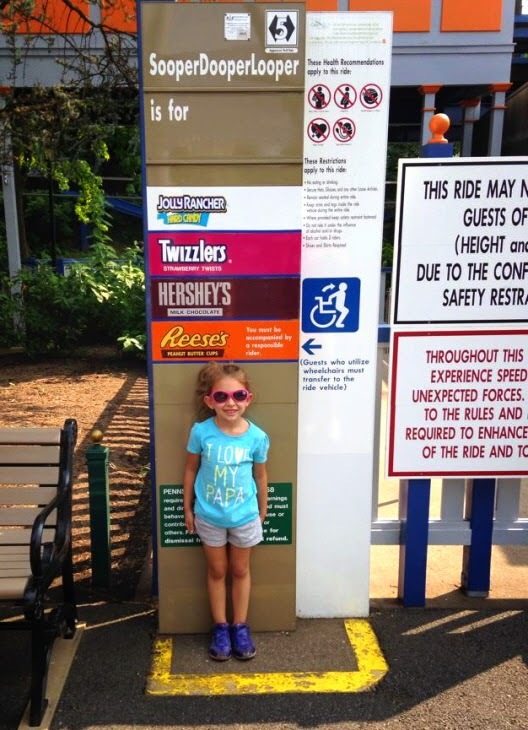 Hersheypark has something to offer everyone from the adults to the kids! 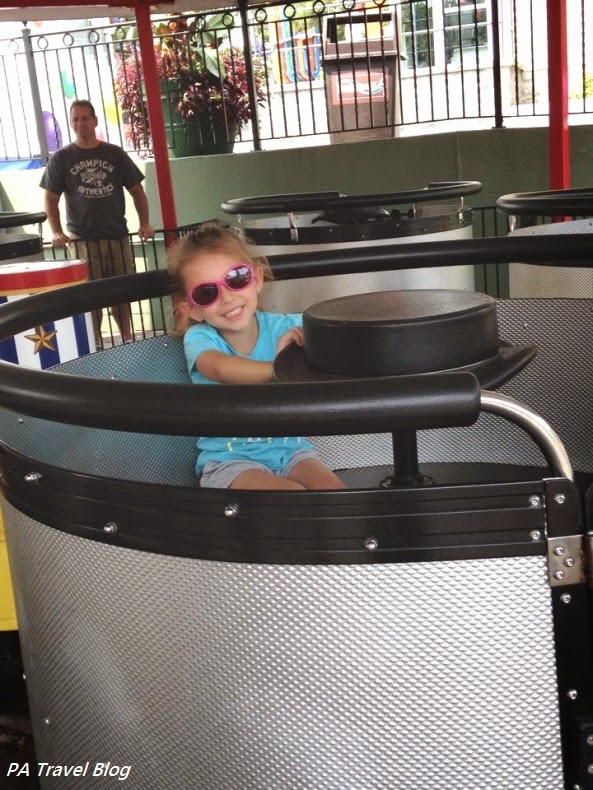 One of the reason we love it is because of their wide variety of kiddie rides for the little ones. 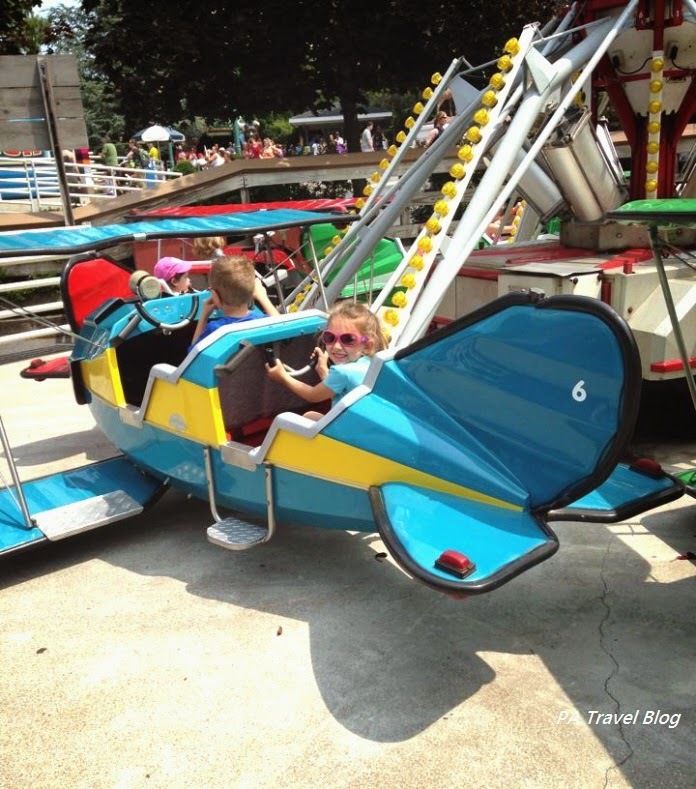 Unlike other places that only offer a handful, Hersheypark offers many great kiddie rides such as: Lady Bugs, Balloon Flite, Mini Pirate and the Helicopters to name just a few! We spent an entire 8 hours at the park and still didn't get on all of the rides that we wanted to or do all of the things that we normally do while visiting. They were extremely packed on this particular day so we did have to stand in long lines most of the time. If you're going as a family and want to remember your day, take along a small camera or use your smartphone to grab some photographs throughout the park. There are plenty of great picture-taking opportunities! 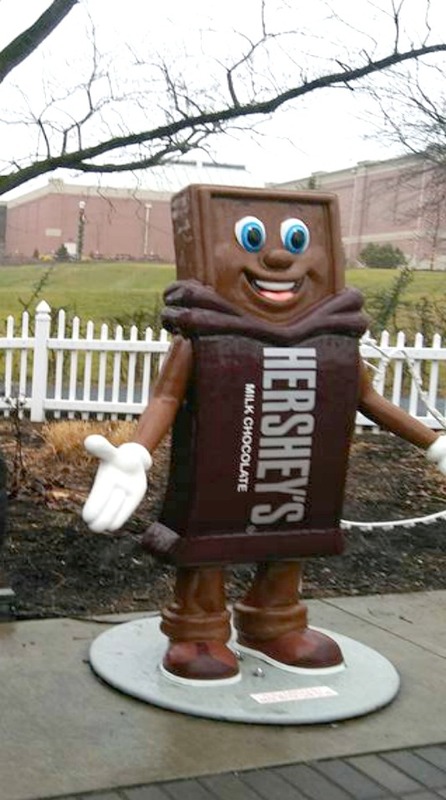 We love grabbing photographs of our grandchildren standing beside some of the famous Hershey's Candy Bar Characters! Fun!!! Connected to the park is the world famous ZooAmerica Wildlife Park (Zoo) and you can enter the small zoo when you want to take a slow down break from riding all of the rides. The admission into the zoo is included with your ticket price. It only takes about an 90 minutes to go through the entire zoo, less time if you hurry. We had a great time and next year we will be returning again. You can visit the Hersheypark web site to see their current operating schedule, schedule of events, obtain directions and so forth. You can also find them on Facebook and Twitter too.